Jason is a globally recognized leader in the field of Chinese medicine and has practiced for over 16 years in Boulder, Colorado. His passion for healing came from having to heal himself from an undiagnosable chronic illness in his early 20’s. Without relief from over 20 doctors and years of suffering, he began his deep study of alternative medicine. Because of this journey, he embraces a truly holistic approach, addressing the mind, body, and spirit to awaken transformation and to bring back vitality. Jason has been in clinical practice for over 16 years.He has eight years of formal education in integrative & complimentary medicine- a Bachelor’s Degree in alternative medicine from Union Institute in Cincinnati, and a Master of Science in Oriental Medicine from Pacific College of Oriental Medicine in San Diego. International lecturer and author of the acclaimed herbal text, Qin Bo-wei’s 56 Methods: Writing Precise Prescriptions & numerous articles published in professional medical journals. 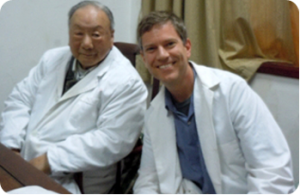 Ten trips to China to study medicine, language, and translation, including a close mentorship with Dr. Wu Bo-Ping, who Jason co-authored the above book with. Teaching: Involved in long-term training for other Chinese medicine practitioners in Australia and the U.S. Licensed in Colorado, California, and has passed both the national and California board exams. One of the oldest classical Medical texts says, “You can’t build a well once you are thirsty.” Chinese Medicine has always a great emphasis on preserving vitality, anti-aging, and preventing disease and thus strong at diagnosing and treat problems long before they manifest into serious Western disease. Jason pays particular attention to early warning signs based on the tongue, pulse, and symptomatology to help eliminate developing pathological patterns. Coupled with functional medicine, these two form a solid foundation for preventative medicine as well as what many call anti-aging medicine. Sometimes we are faced with a serious disease resulting in an undesired quality of life. I am often asked what Chinese medicine can do for these kinds of conditions? I am always hesitant to use the word “cure” although sometimes this does happen. More realistically, Chinese medicine can many times offer an increased quality and quantity of life. This may be from directly putting the disease into remission, or merely a result of reducing the need for pharmaceuticals, and decreasing side-effects from current drugs.. Although every situation is individual and must be evaluated on a case by case basis, there are some generalities that exist based on my personal experience of treating certain disease states. Please feel free to e-mail or call with questions. After reversing a serious health issue myself, now 20+ years ago, I not only understand what it takes to turnaround a difficult condition, but the psychological burdens, as well as possible physical limitations, that can accompany serious disease. Consequently, I have made it my life goal to help people in such situations. 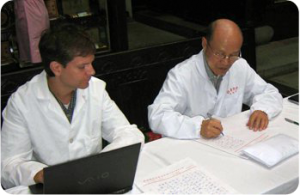 Fortunately, if a serious disease has emerged, Chinese Medicine has many tools to address it. 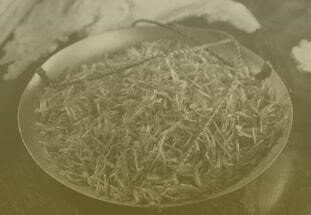 Most important is Chinese medicine’s ability to support the body’s natural ability to fight disease. This is a major distinguishing factor between Chinese medicine and Western medicine. “When a physician devotes all his abilities to treatment, there is no disease under the sun he could not cure. If the disease is not cured, in my opinion this is due to the physician not having devoted all his abilities to the treatment (Cao Renbai – Famous Pre-modern Physician). Jason’s utilizes traditional Japanese & Chinese styles as well as esoteric acupuncture. The majority of which are a harmonizing gentle shallow insertions to balance the body, mind, & spirit. 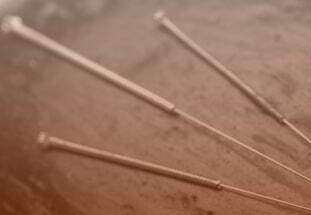 For those sensitive patients Jason offers a non-insertion PAINLESS style of acupuncture. He integrates classical & modern methods to not only alleviate symptoms and complaints, but also treat the root imbalance. For musculoskeletal disorders, Jason uses an integration of Chinese acupuncture and Western anatomical approaches (based on trigger and motor points) to create a manual firing and resetting of the muscle. This can instantly release tight muscles. Often he will use thicker Chinese-style needles for more athletic patients. These complaints usually revolve around conditions such as tendinitis, ligament and meniscus injuries, decreased ROM, etc.. Most internal complaints, though, require Chinese herbs for full relief. Jason has made an extra effort to excel in herbal medicine, and has translated / written a now foundational herbal text book for the western world. He has made Chinese herbology a cornerstone of his practice, as well as life passion. It is rare to find someone with his level of expertise in the West. Jason writes individualized formulas, specific to the patient’s disease and underlying condition. Jason started studying functional medicine over 20 years ago. 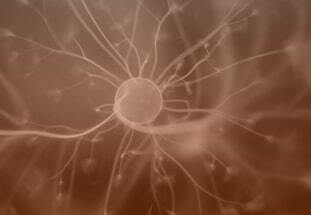 He utilizes alternative and mainstream lab testing and supplements when needed. Through his experience, he finds that less is more and the more discerning the practitioner is, the less testing and amount of supplements are needed. I have a long time interest in, what many are now calling, functional medicine. Many years before I started with Chinese Medicine I began studying Functional or naturopathic medicine. Now I incorporate many of the tools into my practice. Actually, functional medicine has a very similar map of the body as compared to Chinese medicine. Both systems look for underlying causes and mechanisms that are contributing to symptomatology. I find that Western diagnostic information, looked at through such a lens, can be extremely helpful in helping inform a wholistic treatment strategy, even when based on such a seemingly foreign system such as Chinese medicine. Gastrointestinal (GI) Testing – bacteria, parasites, absorption, microbiome etc.